Imagine there’s been a power outage in your area due to a severe weather storm. Your neighbours have since had their power restored, but you’re left in the dark. What are your options? You can light some candles and wait for the morning or call for a 24-hr emergency electrician in Toronto. Chances are your power is out due to an issue completely unrelated to what is affecting your neighbours. An electrician can determine where the issue lies and swiftly fix it so your power is restored. If the issue with your electricity is repaired quickly, you’ll avoid any of the problems that may arise if you wait until morning, such as having to dispose of spoiled food in the refrigerator. What Can an Emergency Electrician Do for You? An electrician can tackle any issue you have! It may be something that only requires a few moments to fix, or your emergency electrician may uncover a more serious problem and take care of it before it turns into a major concern. A good electrician will convey what the problem is and map out the best course of action to take. 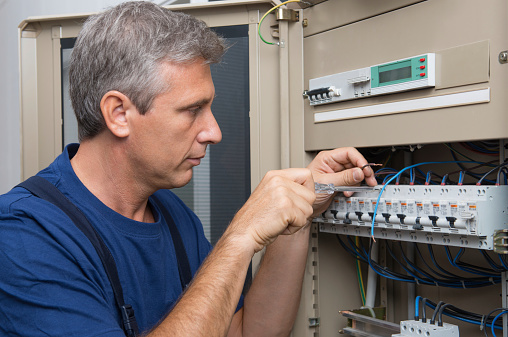 Your electrician may even recommend upgrading your electrical system. If a power outage occurs, you want your power restored as quickly as possible, especially during colder months. You can have peace of mind in knowing that your home has electricity, and that your family is warm and safe. If you have teenagers, you know how important having electricity can be for them! The sooner your power is restored, the faster they can get back on the Internet or take a hot shower. You’ll save on your food bill, too. Once the power is back on, you can cook your own dinner instead of ordering expensive take-out. You will also avoid the hassle and expense of disposing spoiled groceries from the refrigerator. It goes without saying that business owners need to have power restored quickly following a power outage. The longer you go without electricity, the more money you’ll lose through lost business hours. An electrician can also perform upgrades to your existing fixtures with minimal disruption to your business. In the event of a severe storm or power outage, chances are your home or business will survive with little or no damage. But a major storm can still cause havoc with your electrical appliances or office equipment like computers and phone systems, resulting in thousands of dollars in damages. If you get enough warning about an approaching storm, make sure all major appliances or electrical equipment in your home or business are/is unplugged. Next, switch off all the circuit breakers in your home or business one-by-one. Finally, use a circuit tester to ensure the power is off. If it is not, this could lead to serious injuries for you or your family members. If you experience a power outage, and your power is not restored within one day of your neighbours’, call Toronto Electrical Experts. We are your 24-hr emergency electrician in Toronto. We will restore power to your home or business quickly following an outage, and make any recommendations for upgrades. Best of all, we provide our services at an affordable cost.